Human capacity building efforts focus on developing the relevant knowledge, skills, abilities and experience among a wide range of stakeholders, including researchers, extensions services, and end-users, to facilitate growth and development of aquaculture in host countries. To this end, a central component of every AquaFish Innovation Lab research investigation is conducting short-term and long-term training efforts in host-countries. Short-term training is defined as non-academic training that lasts less than six months and does not lead to a degree or technical certificate. Short-term training typically includes training provided through short-courses, seminars, workshops, internships, and observational study tours, which typically focus on training Host Country extension specialists, local farmers and fishers, producers, fisheries officers, policy makers, and NGOs. Since 2008, AquaFish Innovation Lab sponsored projects have trained over 10,000 people in over 350 events held in 19 countries around the world. Long-term training is defined as academic training lasting six months or more, including but not limited to degree programs. Long term training typically culminates in a BS, MS, or PhD degree (or equivalent), but can also lead to a high-school diploma, a technical certificate or Associates Degree or post-doctoral studies. Direct involvement in AquaFish Innovation Lab research projects provides Host Country and US students with opportunities for training and experience, ensuring lasting impacts towards community development. Since 2006, the AquaFish Innovation Lab has supported over 600 degrees in a variety of disciplines at universities around the world. More information on our training efforts can be found in the AquaFish Innovation Lab Programmatic Training Plan. 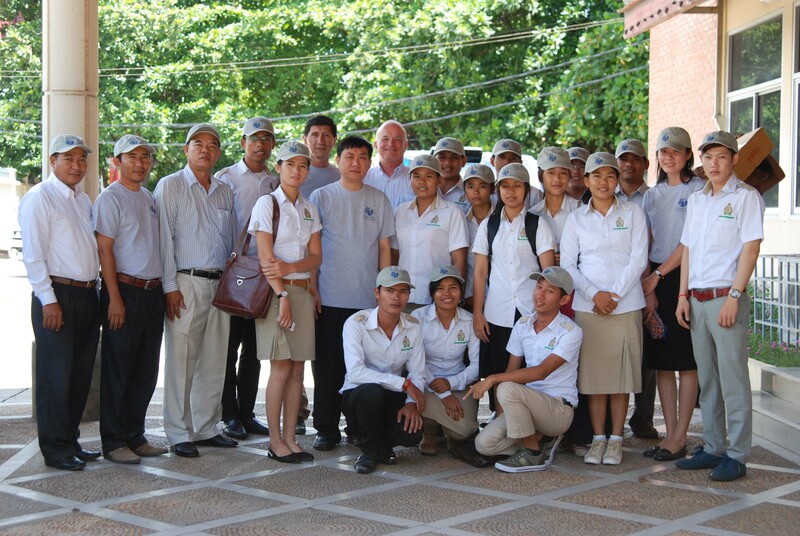 Participants pose for a group photograph at an AquaFish Innovation Lab-sponsored short-term training event in Cambodia in 2014.